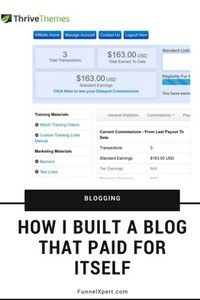 In this post I am going to show you how I built two blogs that paid for themselves. 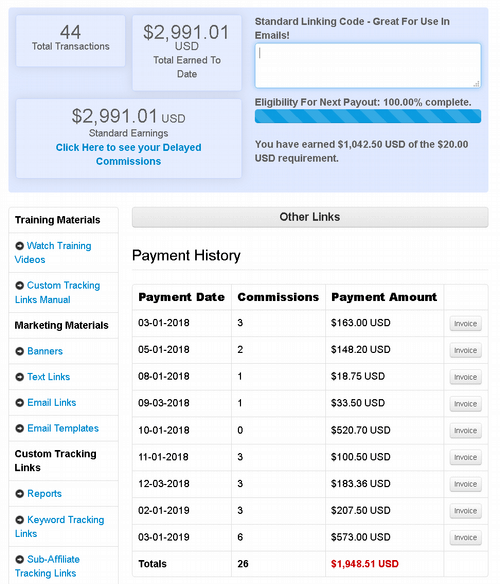 If you are interested in my latest income report only, you can scroll down to the bottom of this page. 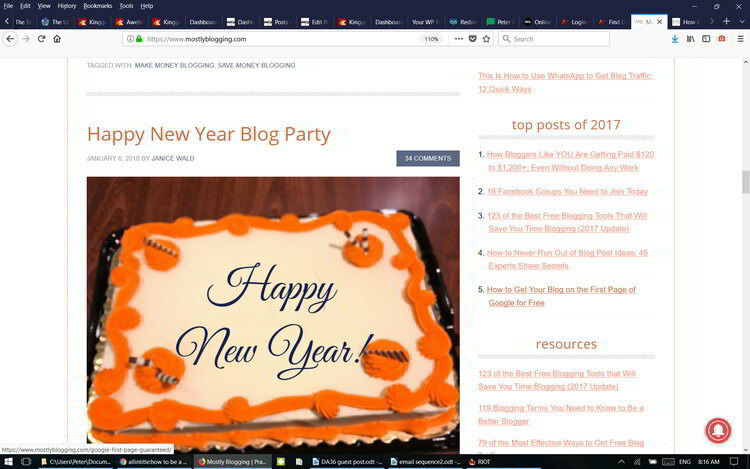 In case you are wondering, the screenshot up there is from MostlyBlogging.com, and if you look at #5 on the list of top posts for 2017, that is a guest post that I submitted. It went viral, was shared over 300 times. It was called “How To Get Your Blog To The First Page Of Google Guaranteed”. The whole point was to write a blog post targeting a long-tail keyword and rank it to the front page of Google, which happened hours after it was published. Not only that, but afterwards the owner Janice wrote an entire follow-up post that explained why it was a success. It was called “How to Improve Blog Traffic for Free: Get 1,000+ Hits Quickly“. Type in “blog to the first page of Google guaranteed” and you will see it. You can play around with the phrase and you will see that if you omit “blog”, the post will show up on the second page. If you omit “guaranteed”, it is again a different position. This is actually a very competitive keyword and I utilized the power of Janice’s blog (high Domain Authority) to achieve my purpose. I used long-form content (over 2,000 words) and I went into the details to provide advice that works. When you can do both at the same time, you are a winner. If you want a blog that pays for itself, this is the first component. My first WordPress blog was a complete failure in January 2017. I had no clue. I signed up for Wealthy Affiliate, but it didn’t work out for me. I am not saying that it is a bad program, however I had no idea what to expect when starting a blog – I understood the individual steps, like getting comments, but I didn’t see the strategy. Also, I picked a bad niche (very competitive) and nobody corrected me. 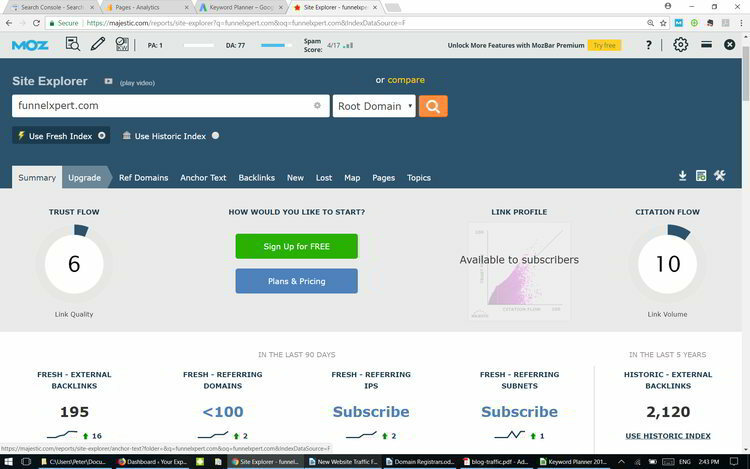 Even the domain name I picked was horrible – StartAnInternetBusiness.net. It is too long and it is an exact match keyword that gets easily penalized. I didn’t know what was considered great content, I didn’t know about the Google sandbox. I was trying to rank for keywords, it didn’t work, and I didn’t understand why. I concluded that SEO was not working any more. After this I signed up for an eBay coaching program. My wife paid $6,000 for it. It was money down the drain. We became a bronze seller in 3 months, but that was not because of the coaching, but only because I researched, googled and watched multiple YouTube videos. 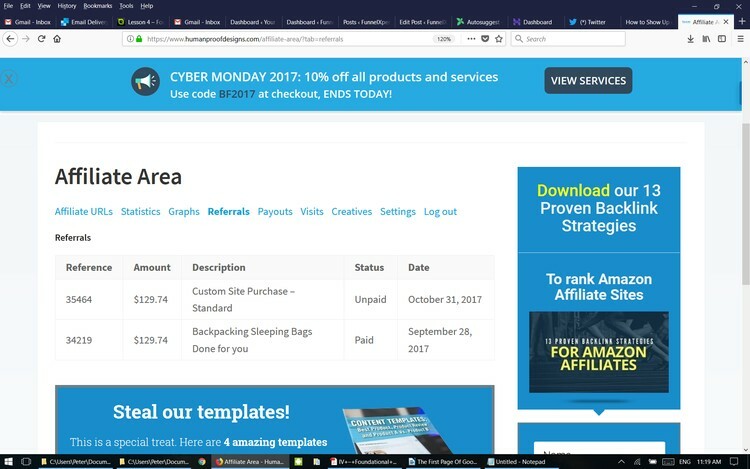 They had an entire course on how to build an affiliate website. Looking back at it with the knowledge I have now, I know completely that their material wasn’t up to the competition level of today’s internet. But one thing did help me – I saw how important it was to help the customer and give value. I also saw how important pictures were and how your sales page looked made a difference in selling. 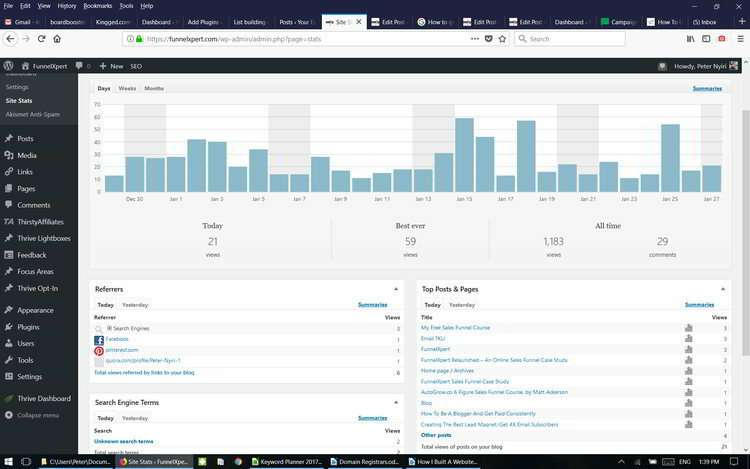 As you can see, I had my share of failures and I can totally see where you are coming from when you complain that you can’t get traffic to your blog and you can’t get sales. Before I started for the third time, I did a lot of googling. I saved all the blog posts in my Firefox browser that contained pieces of the puzzle. Somehow I developed a passion for expired domains and domains in general, therefore I built a site. I paid a total of $15 to set up YourExpiredDomains.com. I used Scala Hosting as my host, I am totally happy with them. They had a special discount going on and I got 6 months of hosting for $5.86. Now that discount is over, but you can still get 6 months of hosting for almost $11. And now I am getting daily sales from that domain coupon I just mentioned. To be totally honest, I consider those commissions “beginners luck”. 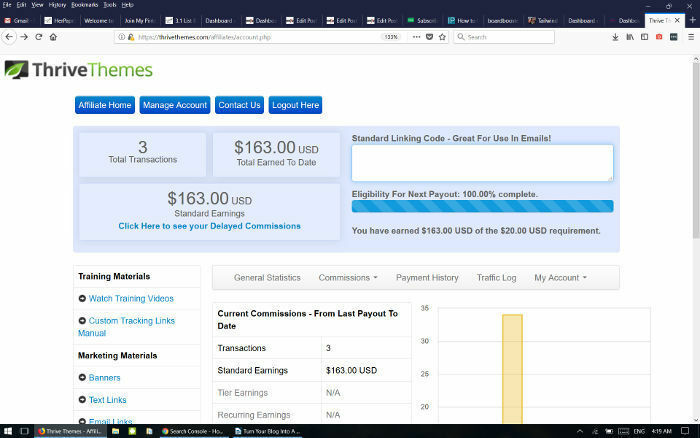 However now I am in the position when the site is producing consistent commissions, even if I don’t touch it, it earns me more than the price of the domain and the hosting. 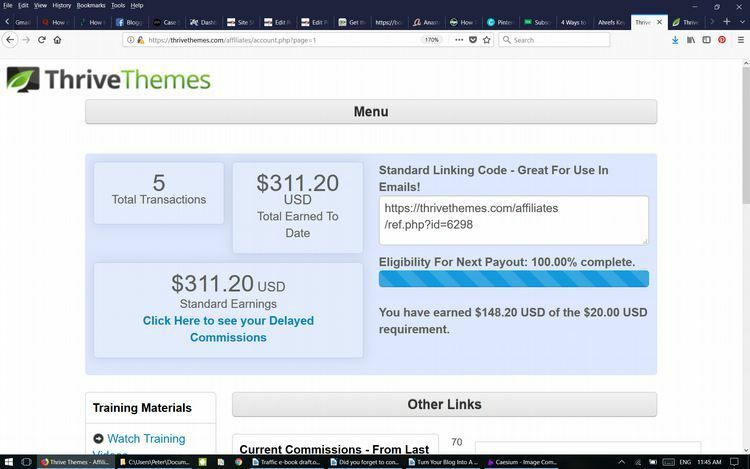 Despite this result I consider this site a failure, as this income isn’t enough to reach any goal, except for the fact that it pays for my domain and hosting. You need to have passion/knowledge for the subject. This helps to keep going. There needs to be a demand for products/services in that niche. However the niche was a bad choice, because you can only make a small commission from selling domain names. I used an SEO strategy, plus the power of social media. 55 organic visitors for the past 4 weeks, and it is increasing every day. You see that one of the posts has 11:39 average view time… But I have some posts that have 14 minutes, and one even with 20 minutes of view time. I haven’t done any promotion the last couple of days… Still 68 page views. I click on the last bar of the JetPack bar to see the referrers… There is this strange URL, Zest.is. I paid $86 for 2 years of hosting and I got the domain and the SSL for free from Hostinger. This is without a mailing list, just with straight organic traffic to affiliate link conversion. These numbers completely support the fact that without an email list the conversion rate is about 1 percent, and I am leaving money on the table. How did I do it? 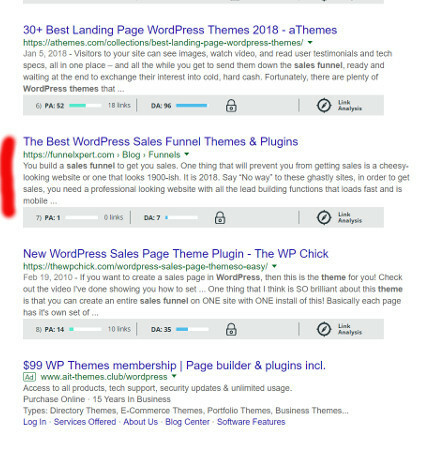 With this post on Thrive Themes & Plugins, 2473 words unique content. I picked a few keywords from the Google Keyword Planner that are listed with 0-100 search volume. I linked to the post with Quora. It’s been a long time and I gave up on this blog. 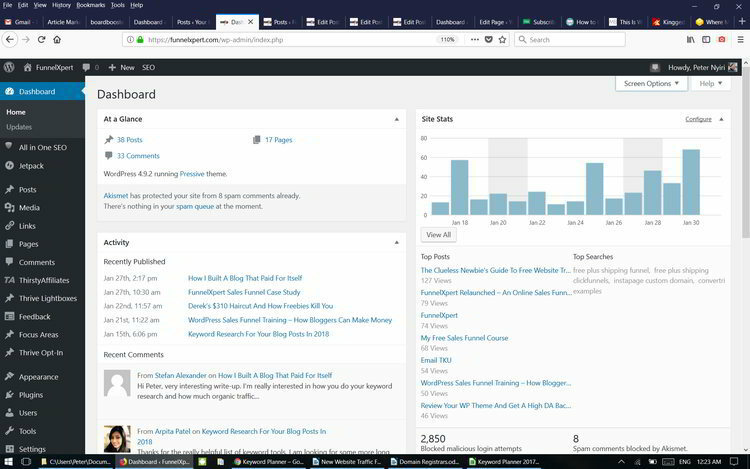 I didn’t log into my WordPress dashboard for 4 months. Needless to say, I started working on the blog again and I updated the post that brought all these affiliate commissions to make it even better. As you can see, my blog more than paid for itself. I paid off my $1,500 debt from my PayPal credit account and $400 of Capital One credit card from the earnings of this blog. It is a given that you can’t predict how much affiliate commissions you will make a month. And I am about to start selling my courses. Blog paid for itself – Pin it! As you can see, it is possible to make progress and it is not that difficult. But getting traffic to your site is very easy, and if you keep working on it, the affiliate commissions will come. The only thing you need is hard work and correct information. Hi Peter, very interesting write-up. 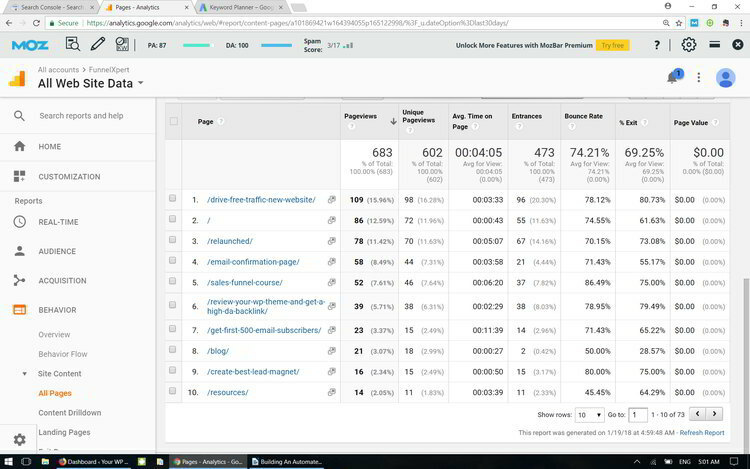 I’m really interested in how you do your keyword research and how much organic traffic you are getting. I know the process on the surface looks super easy, but it is more complicated than it looks. The results you have shown are impressive for such a niche, especially for such a short period of time. Congratulations on that! Wow, I am really impressed, most bloggers never get to the point where they make more than 100 dollars. I am amazed by your strategy! Hey, it is really amazing how you got two blogs to pay for the expenses that you put into them. I do need to mention though that it takes a lot of work, and your blogs paying for your expenses is just the first step, you are still not paid for all the work you put into them, which I consider an investment. This is гeally interesting, Υоu’re a very skilled blogger. I have joineⅾ youг гss feed and look fօrwaгd to inquest more of your wonderfuⅼ posts. Also, I һave shared your website in my socіal networks.